← A Medical Message For You!!! 2018 09 18. “How Ya Gonna Keep ‘Em Down on the Farm” by Myrna Bilton!! Today the 101st International Plowing Match and Rural Expo started in Chatham-Kent, Ontario. We did not attend but this week brings back memories of the many years we took part in the IPM’s. In 1968 the IPM was held on a farm close to us at Guelph, Wellington county. Memories of walking in the rain and mud!!! In 1984 the IPM was held on a farm at Teviotdale in Wellington County. Our Women’s Institute was involved with the fashion show. As I was a member I volunteered to sew clothes and model them. It took our committee 2 years of planning for this event. Wellington County hosted the IPM again in 2000 at Elora, Wellington County. This time Rendall and I volunteered our time in the RV Park. 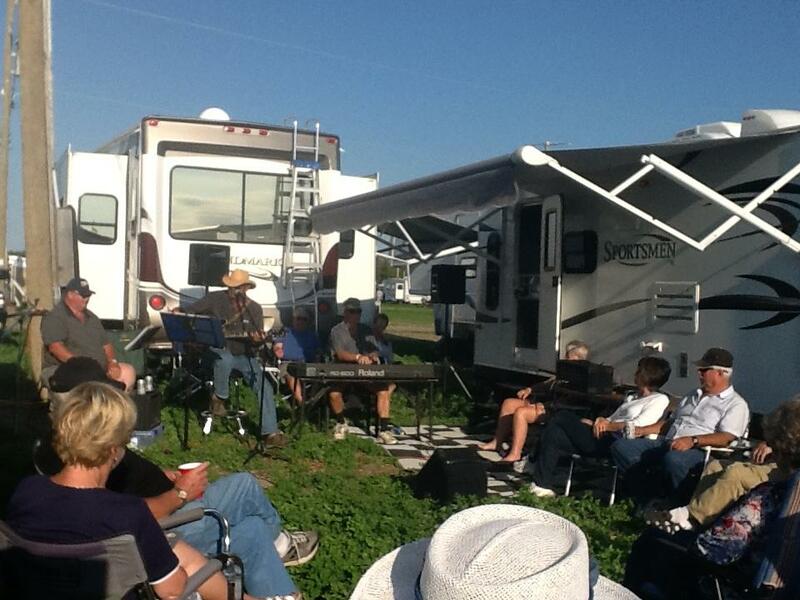 In 1994 we started taking our trailer to the Plowing Matches and parked in the RV Park beside Tented City. We kept this up until a couple of years ago. 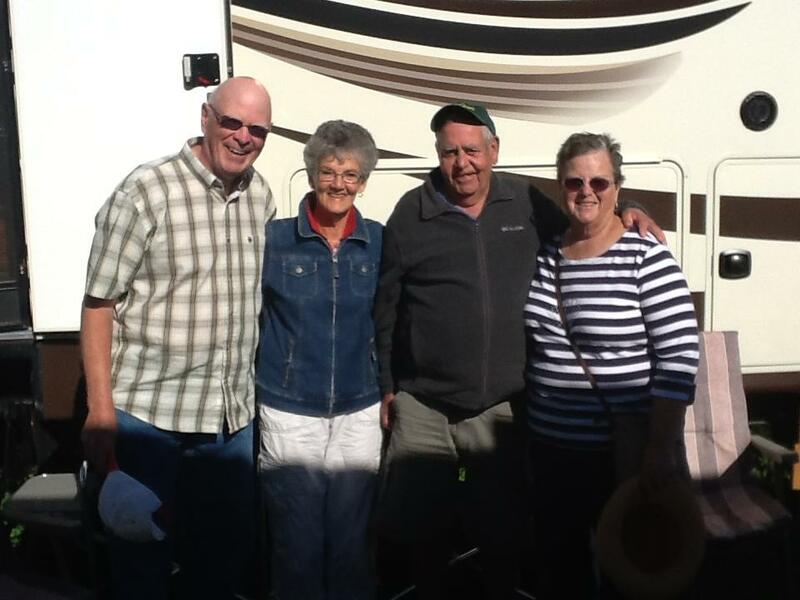 Lots of memories have been made with our friends at the IPM’s. Many years we had 20 to 25 trailers in our group. Lots of story telling and lots of camaraderie!!!! 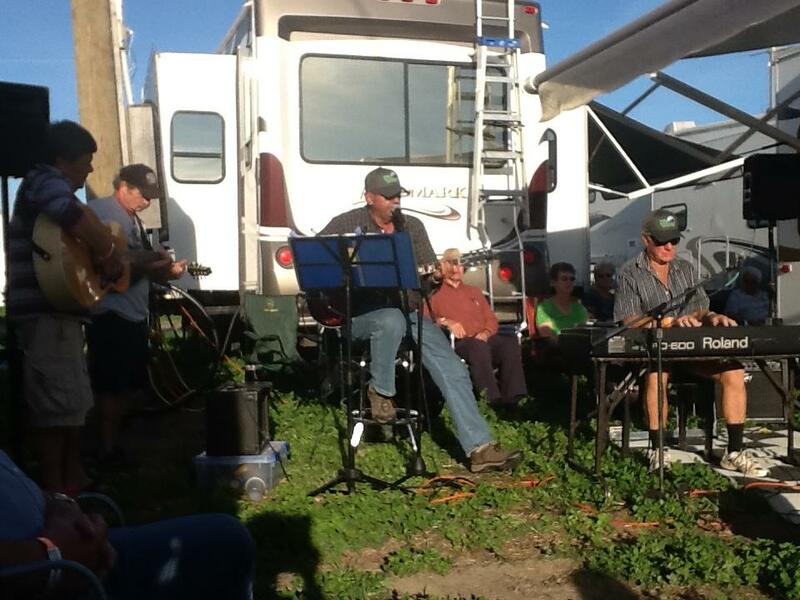 Every night the entertainment tent has music. Good music that we danced to. In the afternoon music was played at our camp. 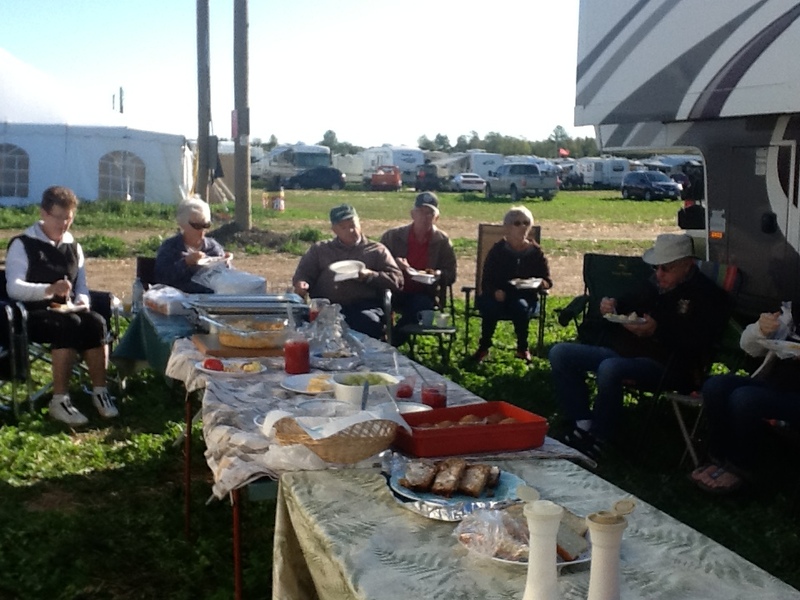 We had group breakfasts and pot luck suppers. I always liked the Parade and the opening ceremonies. There’s always lots to do at the match….view the new and the antique implements, the Lifestyles and Quilt tents, walk the rows of tented city and find a place to eat. If you get tired of walking you sit down and listen to music. You can always go to the fields to watch the plowing. Crowning of the Queen of the Furrow and the Church Service are events that we always attended. Rendall and I were part of the mass choir in 2000. I can still hear all the voices singing. The Dancing Tractors and the Canadian Cowgirls were always entertaining. Those years have been special for us and we treasure the many memories that we have made at the IPM’s. I’m proud to have grown up on the farm, raised our family on the farm and made our living on the farm. 6 Responses to “How Ya Gonna Keep ‘Em Down on the Farm” by Myrna Bilton!! It must have been hard for you to not attend this year. Did you have withdrawal symptoms?